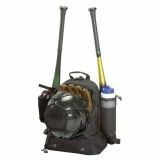 The Baseball Backpack is a great way to transport all of your baseball equipment to the field. 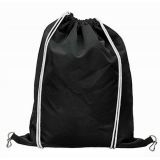 This bag features two bat holders, glove and helmet pockets, a drink pocket, as well as a large main chamber and even a shoe and cleat compartment! 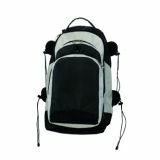 The Deluxe All Purpose Backpack nylon bag comes with adjustable shoulder straps, a padded back and waist straps for supreme comfort. 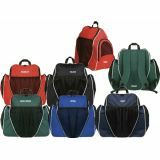 Two large main compartments hold books and equipment, with a ventilated front pocket, and zippered side pockets. 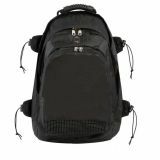 The Deluxe All Purpose Backpack is made of polyester and features a top loading compartment. 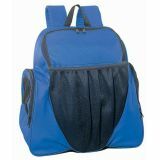 There are several handy compartments for equipment including a large pocket for footwear, front mesh pocket, and small inner pocket for personal possessions.